Sector with NX1 – LIVE – 08.12.2017 Artheater CGN. 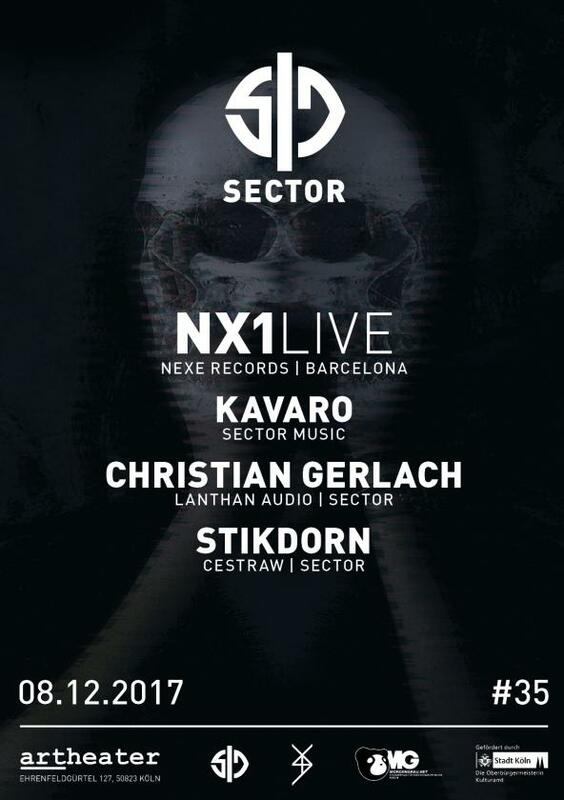 After 4 years and their fantastic remix for Kavaro’s first Vinyl EP on Sector Music it was time to invite NX1 again for a live set at Sector. Beside them our Sector residents Christian Gerlach, Stikdorn and Kavaro himself will play.